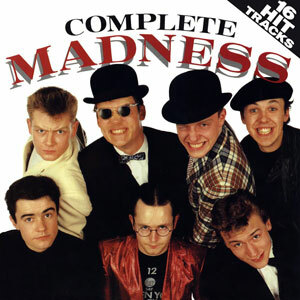 If you were about in the 1980s you’re more than likely familiar with Madness. If you weren’t then you might be aware of Madness. This album is a compilation of the best of Suggs and his chums and their unique ska sound from the very beginning of their career. Music like this acts as a kind of temporal benchmark were you can usually relate one or two of their songs to some sort of event or activity in your life. For me the songs Baggy Trousers and Cardiac Arrest have me at eight years old, listening to a cassette mix tape my dad made me for my old mono cassette player. House of Fun was rereleased in the 90s around about the time I was rejecting “popular” music so there’s nothing particular attached to that song.